Uncheck the "Run at startup"option, located at the bottom of the Welcome Center screen (Figure 1). Right click on the Windows Sidebar icon in the system tray. 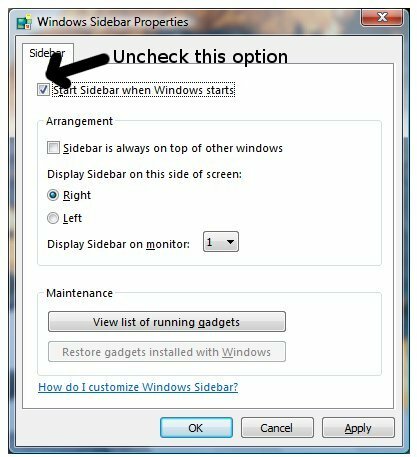 Uncheck the "Start Sidebar When Windows Starts" checkbox (Figure 2). bro next nanti psl win 7 lak yek! !